Portuguese football has a rich history of sublime attacking talents. From the great striking exploits of Eusébio to Barcelona star turned Galáctico icon Luís Figo, Portugal is a nation that’s been blessed with players of breathtaking calibre through the years. Their craftsmanship has imbued fans across the peninsula and led to many unenviable comparisons for their future produce. At the turn of the millennium, two rising stars were burdened by this weight of expectation. After being billed as the next Figo, these indigenous adolescents were turning heads with their blistering pace and majestic trickery. Both wingers – with jet black hair and deep Mediterranean tans – were undoubtedly the most exciting talents the famed Sporting CP academy had produced in years. Their names were Cristiano Ronaldo and Ricardo Quaresma. The latter, one-and-a-half years Ronaldo’s senior, was widely considered the more naturally gifted of the duo. Born and raised in the nation’s capital, Quaresma was affectionately nicknamed O Cigano (The Gypsy) due to his mother’s Romani descent. He and Ronaldo formed a strong bond both on and off the field with a similar style of play and comparably troubled upbringings. With both players’ careers seemingly destined to dovetail en route to greatness, it strikes a peculiar chord to learn that they went on to walk vastly opposite paths. Quaresma’s first taste of the professional game was handed to him by Sporting legend and B team manager Vítor Damas. Having risen through the youth ranks from the age of 14, the winger dazzled with all the swagger and panache fans have now become accustomed to over the years. Damas – an ex-goalkeeper for the club himself – earning no fewer than 332 caps, saw the untapped potential in the youngster and immediately afforded him licence to roam. His faith proved to be well placed when, after just 15 appearances, Quaresma was beckoned into the first team set-up. Ostensibly needing time to acclimatise to the step up in playing standard, it came as a pleasant surprise to see the winger establish himself as an integral member of the squad within his first season of Primeira Liga action. 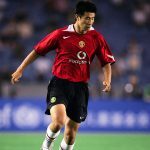 His ability to cut in from either flank and shoot or cross with the kind of curve that had only previously been seen from the likes of David Beckham made him an instant hit. Notching five goals in his maiden campaign, he helped Sporting secure an illustrious league and cup double. The following 2 years saw the mercurial starlet continue his meteoric rise. His nonchalant demeanour yet agile verve was only dampened by his fiery temperament, which at times had begun to tarnish some mesmeric displays. Whilst Quaresma and Ronaldo’s stock skyrocketed, Sporting slumped and it soon became infeasible for the Lisbon outfit to retain the services of their prodigal sons. A transfer in the region of €6 million agreed, the plucky 19-year-old moved to one of the biggest establishments in world sport – FC. Barcelona. In a summer that also saw the departure of Ronaldo to Manchester United, both youngsters looked to be well on course to attaining the elite level their aptitude promised to provide. Unfortunately, whilst Ronaldo’s childhood traumas acted as a harbinger of motivation, Quaresma’s helped shape the catalyst for his self-destruction. O Cigano joined the Blaugrana at a time of change, with newly elected club president Joan Laporta seeking to aide the Catalans ascent after a period of decline. Following the advice of club icon Johan Cruyff, Frank Rijkaard was appointed manager alongside a plethora of new signings. Quaresma’s arrival went somewhat under the radar as marquee recruit Ronaldinho stole the headlines. Having been purchased for a cool €27 million from Paris Saint-Germain following his Brazilian World Cup triumph in the summer, all eyes were firmly on the buck-toothed wonder. But a new contract, quickly accelerated social profile and even a cameo in Nike’s famous Olé advert, all appeared too much too soon for Quaresma to handle. Rijkaard had attempted to instil his tactical vision within Quaresma, giving him a crash-course in positional play. Much like his coaches at Sporting, Rijkaard realised the stunning potential at his fingertips, however felt in order to fully harness it, the winger must learn to be tactically disciplined. Quaresma belligerently disregarded his manager’s coaching, deeming it patronising as opposed to a quest for self-betterment. This wasn’t the last time he would spark conflict with the hierarchy of his employers in what became an all too familiar trend. After refusing to play again for Rijkaard, he was swiftly sold back to his native Portugal, this time to Porto along with €15 million in return for the services of playmaker Deco. It was here where Quaresma spent the next four years of his career and began to rekindle the kind of form that had once seen him heralded as Portugal’s next saviour. Over a second stint in his homeland, he scored 30 goals and helped the Dragões to three consecutive league titles. He also honed a skill that would later become his trademark – the trivela. It wasn’t long before he was attracting a host of potential suitors and, fresh from carving his own name into the history books with Chelsea, José Mourinho was the man to offer Quaresma a shot at big-club redemption with Internazionale. An €18 million fee was agreed and the youngster was once again thrust into the spotlight. Frustratingly, his time at Inter played out in near perfect symmetry to that of his spell at Barcelona. Starting with systematic difficulties grasping Mourinho’s regimented tactics, another clash in footballing ideologies left Quaresma far down the pecking order. In a year that former team-mate Cristiano Ronaldo captured his first Ballon d’Or, Quaresma was embarrassingly presented with the Bidone d’Oro – an award given to the worst player in Serie A. A loan spell inevitably followed, this time to London and Mourinho’s previous employers, Chelsea. The winger appeared enthused at the prospect of teaming up with his former national team mentor Luiz Felipe Scolari but it wasn’t to be. Scolari was relieved of his duties in favour of Guus Hiddink just a solitary week after Quaresma’s arrival and, four pitiful games later, another torrid campaign was ended. Back in Italy, after Inter failed in their attempts to offload the troublesome virtuoso, he seemed unwilling to tailor his game accordingly to incorporate Mourinho’s defensive mindset. Used sparingly in a season where the Nerazzurri took Europe by storm, winning an unprecedented treble, Quaresma’s name on the list of forgotten wunderkinds seemed to have been all but carved in stone. He left Inter in the summer of 2010 for Turkish side Beşiktaş. After two wholly underwhelming years in Lombardy, he stayed true to his rollercoaster of a career and began his latest upsurge. A stellar first year saw the Portuguese midfielder score 11 goals, each more sensational than the last. He helped his new club to the Turkish Cup final where he scored the opener and was subsequently awarded man of the match as Beşiktaş ran out 4-3 winners on penalties. The next season started in a similar vein. Using every ounce of his guile and creativity, Quaresma would leave defenders and fans alike dumbfounded as he jinked and scurried his way past challenges before beginning his onslaught on the opposition goal. The selfish predictability showcased at Inter and Chelsea looked a far cry from the rejuvenated, incalculable, savvy speed merchant Sporting fans remembered so fondly. It wasn’t to last, though. In Beşiktaş’ last-16 fixture Europa League against Atlético Madrid, Quaresma was hauled off at half-time. Trailing 1-0, O Cigano was unable to control his inner rage, breaking into a vehement tirade branding manager Carlos Carvahal ‘worthless’ before allegedly hurling a water bottle in his direction. The ugly scenes left the player and coach’s relationship in tatters and, for the third time in little over eight years, Quaresma found himself at loggerheads with his boss. On this occasion, the board showed its folly and opted to side with their star man as Carvahal was duly dismissed. The summer brought about the final straw for the insouciance talent. His toxic attitude was slowly poisoning the rest of the squad, something that did not sit well with the chairman. He was told he could stay if he agreed to a pay cut. He refused. What ensued was nothing short of war. From being accused of urinating in the changing room by club officials to his arrest for assaulting a police officer when pursuing an individual believed to have mugged his mother, Quaresma’s time at the club was drawn to a bitter end. With his fall from grace having now hit rock bottom, he was released in disgrace. After a drastically lacklustre time in the Middle East with Al Ahli followed by seven months in free agent wilderness, Quaresma returned home to Porto and was presented with the number 7 shirt in front of 10,000 fans. It was perhaps apt, then, that the club which gave him the original springboard to get his early career back on track provided the 30-year-old with yet another chance of a rebirth. The next season-and-a-half broadcast the wonderful ability of the now seasoned veteran as he captured the joy of supporters but also the regret when the question of ‘what if’ was raised. Having supposedly quelled his indignation from years gone by, an incident in 2014 made him descended into yet another apoplectic fit. 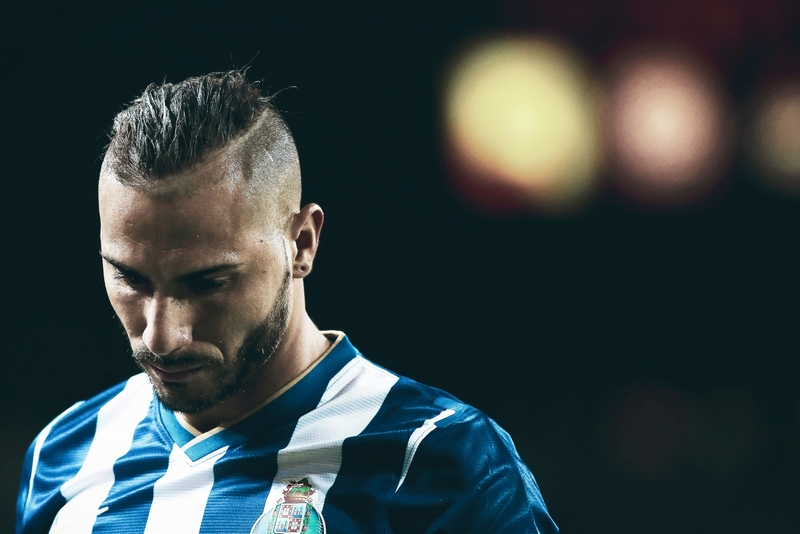 Reinvigorated and with his newfound moral compass, Quaresma was selected for his nation’s Euro 2016 campaign. An extra-time header against Croatia and match-winning penalty versus Poland helped Portugal on the way to claiming their first major international title. 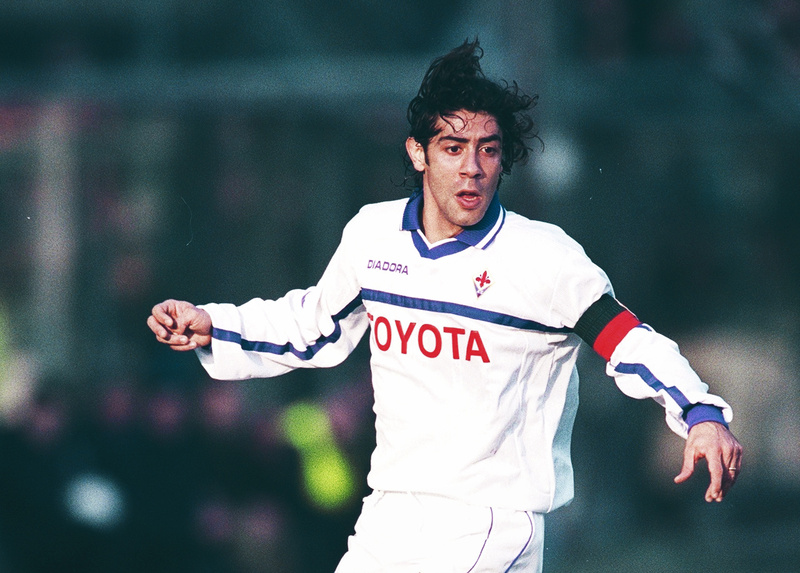 If his first spell at Beşiktaş was his nadir, then that marked his apex. He’s continued his international journey into the 2018 World Cup, showcasing both his magic and his madness. For all his trials and tribulations, this is a player who should be remembered for his graceful élan rather than a sinful inability to kowtow. Despite his stoic past, Quaresma’s raison d’être is, and always will be, his seamless ability to embellish football pitches with the kind of artistry we’re only used to seeing from world-class entities.